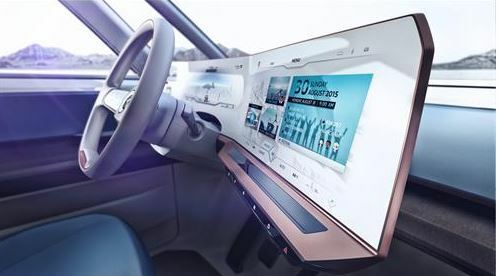 The futuristic interior concept of the BUDD-e showcar, which was unveiled in the CES show in Las Vegas in January, has received the ‘Interior Design of the Year – Concept Vehicle’ award. The award was presented at the ‘Automotive Interiors Expo 2016’ in Stuttgart where the world's finest designers, innovations and products in the automotive interiors arena are honoured. “The CES 2016 showcar offers a fascinating insight into what Volkswagen may achieve in future. On this basis, we should all be excited about next-generation of Volkswagen interior technologies and developments,” said Graham Johnson explaining the jury's reasoning. Graham Johnson is Managing Director of the exhibition organisers and is responsible for the Automotive Interior Awards. The judging panel comprises a total of 17 international leading motor and design journalists who cast their votes in six categories. At the beginning of the year, Volkswagen showed a glimpse of what future electric cars from the Volkswagen brand may look like at Las Vegas with the innovative show car, the BUDD-e. What is characteristic of the futuristic concept is the intuitive operation of the instrument and operating concept and the air of lightness which prevails in the interior. After making a gesticulation to open the sliding door, the driver enters an interior which is more evocative of a lounge than a car. For example, if the front passenger wants to talk to the rear passengers, he or she can swivel the seat around. In the rear, two conventional seats and one seat surface placed lengthwise are installed on a soft carpet. A large format 34-inch monitor is also integrated in the side wall of the Volkswagen car. Tomasz Bachorski, Head of Interior Design, and Gustav Hofmann, Head of Interface Design, received the award on behalf of the Volkswagen brand and the design team headed by Chief Designer Klaus Bischoff.